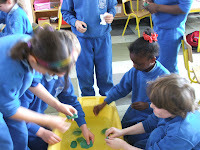 Today we were doing an experiment to see what would float and what would sink. We discovered that a pencil, wood, a bottle and a piece of paper float. We discovered that a stone, a coin, and a piece of lego all sink. Teacher gave us a ball of plasticine each. 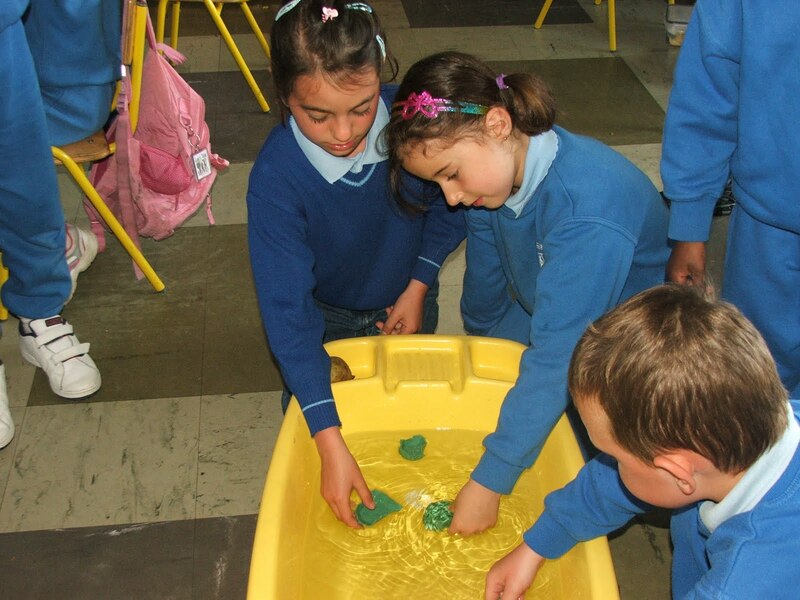 When we put it in the water it sank to the bottom. We discovered that if we made it into a boat shape it would float.